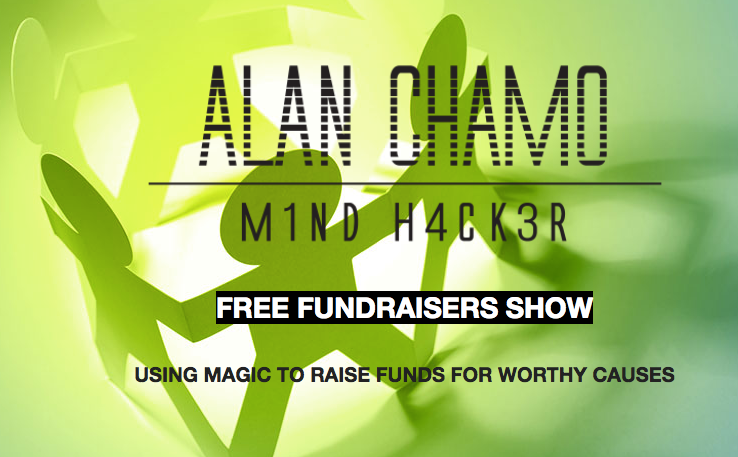 Mentalist Alan Chamo gives 50 shows every year to help Nonprofit organization raise needed funds for their good causes. The organization sells tickets to the show and keeps 100% of all sales. There is no out of pocket expense for the show thanks to the help of corporate sponsors that cover Alan's times and travel expenses. To see if your organization qualifies, and to reserve a date for the upcoming tour, please enter your information and confirm subscription.